If you’re running a business, you’ve probably heard of public liability insurance and this is one of the most common forms of cover for Australian businesses. Public liability insurance protects your business from legal liability if a third party claims property damage or personal injury. Unfortunately, liability claims can be common which is why you need to make sure that you’re covered! Before you accept the first quote you come across, there are a few things you need to consider. 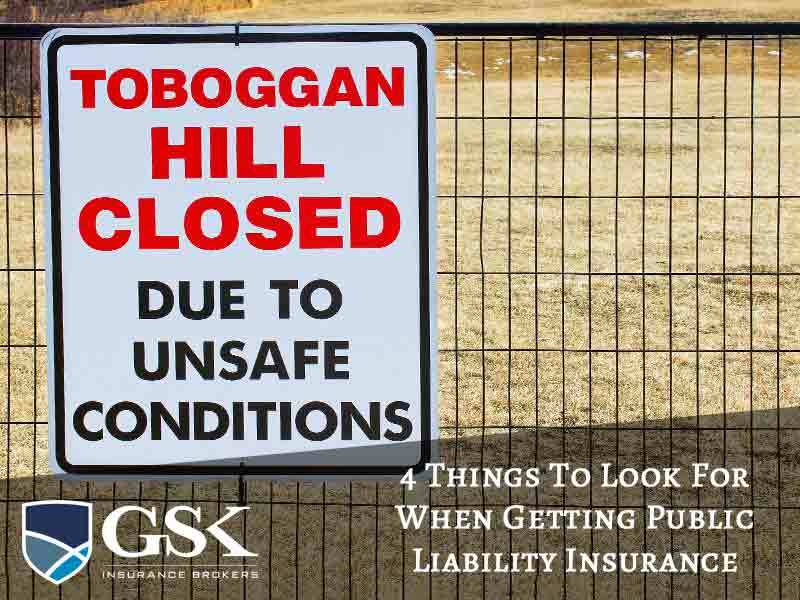 To help you out, we’re filling you in on some of the main things you should think about before signing up to a liability insurance policy. Does the policy cover your specific risks? The first thing you need to do is check that the public liability insurance offers the right level of cover for your business needs. You might get a great price on your quote only to discover far too late that you really don’t have adequate cover. Think about your specific areas of risk and confirm that you’ll be protected if something goes wrong. Are there additional extras you need to add on? Once you have a quote for your public liability insurance, remember that this may not include extras that apply to your business. Generally, these will add additional cost to your premium but are often well worth it. For example, quite often product liability insurance will be included in your policy at no extra cost but you should always confirm this is the case. Always confirm that the excess involved when you make a claim suits your business. If your excess is very high, it will mean lower premiums but will be more expensive at claim time. On the other hand, a low excess takes the pressure off when you need to claim but will increase your premiums. Make sure you get the balance right between how much you’re willing to pay with your premiums and how much excess you can afford. Make sure you take the time to read the fine print on your Product Disclosure Statement so you’re fully aware of all exclusions. There are some standard exclusions that you can expect to find on every policy, such as claims not being accepted for intentional acts, but there may also be additional exclusions which don’t suit the needs of your business. At GSK Insurance Brokers, we’re all about providing personalised insurance solutions for you and your business. With a loyal customer network across Australia, we take the time to ensure that all of your areas of risk are covered. With our help, you’ll be protected financially when things go wrong for the ultimate peace of mind. If you’d like more information on liability cover for your business, contact GSK Insurance Brokers today on (08) 9478 1933. You can also use our online calculator for a public liability insurance online quote.